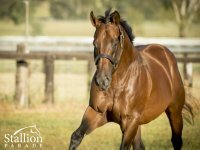 NICCONI 6 wins-1 at 2-to 1400m, £16,110, A$997,450, AJC Galaxy H., Gr.1, VRC Lightning S., Gr.1, MVRC Ian McEwen S., Gr.3, MRC Wellington Racing Club S., L, Fairfax 2YO H., MVRC Valleyevents.net.au H., 2d MRC D'Urban S., Gr.2, 3d MVRC Manikato S., Gr.1, VRC Danehill S., Gr.3, STC Darby Munro H., L, 4th AJC TJ Smith S., Gr.1, VRC Australian Guineas, Gr.1, Royal Ascot King's Stand S., Gr.1. He entered stud in Aust. in 2010. Sire of 388 progeny to race, 281 winners (72.0%), earnings of over $29 million, 17 stakes winners, 12 stakes placegetters, inc. NATURE STRIP (14g, Desert Sun, Pre Emptive Strike). 10 wins to 1200m to 2018-19, A$1,232,085, ATC Galaxy H., Gr.1, MRC Rubiton S., Gr.2, MVRC Ian McEwen S., Gr.2, VRC AR Creswick Series Final S., L, SAJC Lightning S., L, VRC Inglis Dash, Great Ocean Road H., MVRC 1print H., MRC United Petroleum H., 2d MRC VOBIS Gold Dash, MVRC Mitchelton Wines H., 4th SAJC Euclase S., Gr.2. FAATINAH (12g, Danehill, Bellypha). 7 wins to 1200m to 2018-19, A$693,580, 992,735Dhs, VRC Bobbie Lewis H., Gr.2, SAJC Euclase S., Gr.2, MVRC Carlyon S., L, SAJC Ubet H., Meydan Longines Ladies Record Collection H., World Class Healthcare Cup, 2d MRC Oakleigh P., Gr.1, Caulfield Sprint H., Gr.2, Meydan Sprint, Gr.2, VRC MSS Security Sprint H., L-twice, Meydan AZIZI Riviera H., Pakenham RC Polytrack H., 3d MRC Caulfield Sprint H., Gr.2, VRC Poseidon S., L, Meydan EGA Billets Trophy H., 4th SAJC DC McKay S., Gr.3, VRC Absolut S., L.
SIRCCONI (14g, Viking Ruler, Pompeii Court). 3 wins-1 at 2-at 1400m to 2018-19, A$410,950, VRC Sires' Produce S., Gr.2, MRC Moonga S., Gr.3, Ladbrokes National Jockey Trust H., 2d MRC Le Pine Funerals H., Moorookyle Park Stud 2YO H., 3d VRC Emirates Airline H., L, Poseidon S., L, SAJC Adelaide Guineas, L, MRC Weekend Hussler H., L, 4th ATC Sires' Produce S., Gr.1. CHILL PARTY (11g, Turtle Island, Stage Door Johnny). 4 wins from 1450m to 2050m, A$201,075, MVRC Alister Clark S., Gr.2, City Jeep Compass H., 2d VRC TCL S., L.
NICOSCENE (11c, Snippets, Citidancer). 4 wins-1 at 2-at 1200m, A$373,130, SAJC William Hill S., Gr.2, MVRC Jeep P., Slickpix 2YO H., Aim for the Stars H., 2d MVRC Sportingbet William Hill P., MRC Billie Swan H., 3d MVRC Red Anchor S., Gr.3, BKB Building Solutions H., MRC Owner.racing.com H.
NICCANOVA (13g, Snippetson, Danehill). 7 wins from 1000m to 1600m to 2018-19, A$430,100, BRC Fred Best Classic, Gr.3, Qld Tatt's RC Recognition S., L, BRC Thyme2 Restaurant Sofitel H., Hamilton Hotel H., Peter & Kerry H., 2d BRC Rostron Carlyle Rojas H., 3d BRC Queensland Guineas, Gr.2, Coke Zero 3YO H., Qld Tatt's RC Triple M's Rich Uncle Mal H.
TIME AWAITS (14f, Danzero, Chanteclair). 3 wins at 2, A$281,535, SAJC Sires' Produce S., Gr.3, Cinderella S., L, Akeed Mofeed 2YO P., 2d MRC Chairman's S., Gr.3, SAJC Breeders' S., Gr.3, 4th VRC Thoroughbred Breeders S., Gr.3. CONCEALER (13f, Tale of the Cat, Zabeel). 2 wins-1 at 2-at 1000m, 1100m to 2017-18, A$255,650, VRC Emirates Airline P., Gr.3, SAJC Manihi Classic, L, 2d MRC Blue Diamond Prelude (f), Gr.2, VRC Baden Racing Trophy, Melbourne Cup Carnival on Sale H., 3d VRC Skip Sprint, Gr.3. STATE SOLICITOR (12g, Metal Storm, Fimiston). 9 wins to 1300m to 2017-18, A$450,900, WATC Colonel Reeves S., Gr.3, Jockeys Trust 6/8 H., Kirin Megumi H., Eskimo Joe Performing H., D'Orsogna H., Les Caporn 70th Birthday H., Celebrating Naidoc Week H., Myer H., Minearc Systems H.
HEAR THE CHANT (13f, More Than Ready, Zabeel). 5 wins-1 at 2-to 1200m to 2017-18, A$382,350, MRC Thoroughbred Club S., Gr.3, VRC Baden Racing Trophy, MRC Le Pine Funerals H., Cove Hotel 2YO H., VRC Mittys H., 2d MRC Twilight Glow S., L, MVRC Dr Sheahan P., 3d VRC Melbourne Cup Tour Trophy, MRC (Mornington) Edgell Bad Boys H.
TONY NICCONI (15g, Elusive Quality, Alydar). 2 wins-1 at 2-at 1100m, 1200m to 2018-19, A$207,750, MRC Vain S., Gr.3, Keno Let's Play 2YO H., 3d MRC Blue Sapphire S., Gr.3. CAIPIRINHA (13f, Starcraft, Canny Lad). 5 wins to 1200m to 2017-18, A$430,300, WATC Placid Ark S., L, Belgravia S., L, Miss Andretti S., L, Seacorp H., Tabtouch H., 2d WATC Colonel Reeves S., Gr.3, Sir Ernest Lee-Steere Classic, L, Burgess Queen S., L, Summer Scorcher H., L, Schweppes P., Corporate Membership H., 3d WATC Gimcrack S., Gr.3, Myer H., 4th WATC Karrakatta P., Gr.2. QUATRONIC (12g, County, Oenjay Star). 7 wins to 1200m, A$277,875, Scone RC Ortensia S., L, BRC Dianne Cohen 3YO H., ATC TAB Highway H., BRC Optus Business Centre H., Gallopers Sports Club H., Toowoomba Plastics P.
LOVED UP (11f, Dehere, No Mercy). 6 wins-2 at 2-to 1400m, A$510,740, Scone RC Inglis Guineas, RL, Albury Guineas, Murrumbidgee TC SDA Country Championship Qualifier, 2d Murrumbidgee TC Wagga Town P.
IT'S BEEN A BATTLE (13f, Dehere, Danehill). 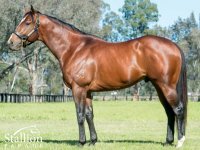 5 wins at 1200m to 2017-18, A$139,485, SAJC Matrice S., L, Adelaide Galvanising H., Gawler & Barossa JC Goldin Farms H.
AYERS ROCK (12g, Thunder Gulch, Take Your Partner). 4 wins from 1800m to 2050m to 2018-19, A$248,015, VRC UCI S., L, SAJC Happy 70th Harry Perks H., 2d SAJC Morphettville Guineas, L, 3d MVRC Schweppes Stayers Series H., MRC Clanbrooke Racing H., Le Pine Funerals H.
EXCLUSIVE LASS (11f, Zabeel, Centaine). 3 wins at 1100m, 1200m, A$189,200, Geelong RC Rosemont Stud S., L, MVRC Melbourne Signage Concepts H., 2d Pakenham RC Sportsbet Racing Form H., VRC Mrs Mac's Family Bakery Sprint, 3d MRC How Now S., Gr.3, Grand Hotel Frankston H., 4th MVRC Abell S., L.
Fickle Folly (13f, Zeditave, Ideal Planet). 6 wins-1 at 2-at 1000m, 1100m to 2017-18, A$262,230, ATC E-Group Security Sprint H., Sledmere Stud Dash, TAB Highway H., 2d ATC Schweppes H., 3d ATC Maurice McCarten H., Gr.3, Schweppes H., Racing4research Sprint H.
Nieta (12f, Spartacus, Prego). 6 wins at 1000m, 1100m, A$336,200, ATC Geohex H., Ranvet H., TAB Rewards H.-twice, 2d ATC Starlight S., L, 3d ATC Shorts H., Gr.2, NSW Tatt's RC Concorde S., Gr.3, MRC Alinghi S., L, SCTC Lightning H., L, 4th VRC Skip Sprint, Gr.3, ATC Star Kingdom H., Gr.3, Scone RC Ortensia S., L.
Bolero King (12g, Iglesia, Danger's Hour). 5 wins to 1400m to 2017-18, A$168,385, ATC Ranvet Neutrolene H., Evening Star H., 2d ATC TAB Rewards H., 3d ATC Star Kingdom H., Gr.3, Canberra Guineas, L.
Akkadian (15c, Blackfriars, Bletchley Park). 3 wins at 1200m, 1400m in 2018-19, A$104,575, 3d VRC Sires' Produce S., Gr.2. Mandylion (14f, Peintre Celebre, Centaine). 3 wins from 1400m to 1600m to 2018-19, A$297,860, Illawarra TC Polytrack Champ Qualifier P., ATC Canadian Club H., TAB H., 2d ATC Angst S., Gr.3, Owners Benefits Card H., 3d ATC Gow-Gates H., Dooleys H., Hachem Management Group H.
Shokora (14f, More Than Ready, Danehill). 3 wins from 1250m to 1600m to 2018-19, A$190,390, MVRC Ladbrokes Odds Boost H., MRC Dream Thoroughbreds H., 2d VRC AV Kewney S., Gr.2, 3d VRC Vanity S., Gr.3, 4th SAJC Laelia S., L.
Lankan Star (16f, Stratum, Sadler's Wells). Winner at 2 in 2018-19, A$407,000, MVRC Happy Birthday Pat Egan 2YO P., 2d MRC Blue Diamond S., Gr.1, VRC Ottawa S., Gr.3, 4th MRC Blue Diamond Prelude (f), Gr.2. All About Nicci (12f, Woodman, Danehill). 6 wins at 1000m, 1100m to 2018-19, A$132,708, SAJC Mypunter.com H., AAMI H., 3d SAJC Durbridge S., L, Mypunter.com H.
Caesour's Dream (14f, Rock of Gibraltar, Caesour). 2 wins-1 at 2-at 1100m to 2017-18, Waikato RC Wentwood Grange 2YO S., 2d ARC Mufhasa S., L, 3d Waikato RC Race a Horse With Te Akau 2YO S., Levin RC Courtesy Ford 2YO S., Otaki Maori RC Vets on Riverbank H.
Niccolance (13g, Lonhro, Quest for Fame). 2 wins at 1100m, 1400m, A$266,060, ATC Royal Randwick Fashions H., Independent Education P., 2d Wyong Magic Millions 2YO Classic, RL, ATC Surf Meets Turf 2YO P., 3d ATC Hong Kong Tour H., 4th GCTC Magic Millions 2YO Classic, RL. Niccovi (16f, Charge Forward, Dubai Destination). 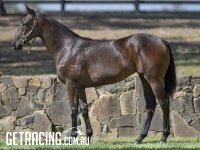 Winner at 2 in 2018-19, A$114,200, Perth Racing Sign on Group 2YO P., 2d Pinjarra RC Magic Millions WA 2YO Classic, RL. Mayan (16c, Agnes World, Kampala). Winner at 2 in 2018-19, SAJC TAB 2YO H., 2d MVRC Valley Pearl S., L.
Sullivan Bay (12f, Red Ransom, Just a Dancer). 9 wins-1 at 2-to 1400m to 2017-18, A$353,140, MRC Legacy 2017 Badge Appeal H., Tile Importer H., MVRC Snap Fitness Essendon H., SAJC Hughes Chauffeured Limousines H., Mac Drink Driving Grow Up H., MRC (Mornington) No Fuss Event Hire H., 2d MRC LUCRF Super Supports Jockeys H., SAJC Orange Spot Bakery 2YO P., MRC Mitavite Challenge Heat 4 H., 3d MRC Janet Brady H., SAJC Suzie Reynolds H., Schweppes H.
BIANCONI (USA) (Bay 1995-Stud 2000). 3 wins to 6f, Ascot Diadem S., Gr.2. Sire of 978 rnrs, 607 wnrs, 19 SW, inc. Nicconi (AJC Galaxy H., Gr.1), Above Deck, Mr Martini, Schilling, Redaspen, Fillydelphia, Bianmick, Rhythm in Paris, Streetfighter, Leigh Valley, Classiconi, Taken at the Flood, Warrior of Fire, Princess Katie, Andallthatjazz, Awesome Lady, Bianconi Baby, Valparaiso, Refuse to Bend, SP Alcohol, Cavallo Nero, Biancon Rose, Gail, etc. 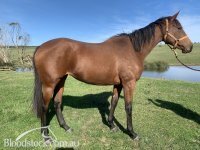 NICONERO (g by Danzero) Joint second on 2008-09 Australasian 4YO+ Classification (intermediate). 13 wins from 1200m to 2000m, A$3,096,280, 920,000Dhs, VRC Australian Cup, Gr.1, MRC Futurity S., Gr.1-twice, WATC Fruit 'n' Veg S., Gr.1-twice, MVRC Waterford Crystal Mile H., Gr.2, VRC Aurie's Star H., L, MRC Anniversary Vase, L, Autumn S., L, Soultine H., SAJC Collex H., Tapestry Wines H., 2d VRC Emirates S., Gr.1, AJC All-Aged S., Gr.1, MRC CF Orr S., Gr.1, Sir Rupert Clarke S., Gr.1, Toorak H., Gr.1, 3d WATC Railway S., Gr.1, MRC Toorak H., Gr.1, TS Carlyon Cup, Gr.3, Victoria H., Gr.3, SAJC Spring S., Gr.3, 4th VRC Emirates S., Gr.1, AJC George Main S., Gr.1, WATC Railway S., Gr.1, MRC Toorak H., Gr.1, Nad al Sheba Dubai Duty Free, Gr.1, MRC Memsie S., Gr.2. NICCONI (c by Bianconi (USA)) 6 wins. See below. 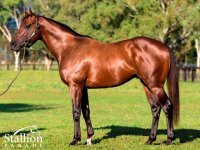 Seberate (g Sebring) 2 wins-1 at 2-at 1200m, 1300m, A$157,725, to 2018-19, 2d VRC Sires' Produce S., Gr.2, MRC LU Simon Builders H., 3d SAJC Hill Smith S., L, 4th MRC Blue Diamond Prelude (c&g), Gr.3. Nicoshine. 3 wins at 1600m, 2500m, Marton JC Southern Rangitikei Vet H., 3d Manawatu RC Ernies Hay & Fencing Contracting H.
Wind Force (g by Fastnet Rock) 5 wins-1 at 2-at 1000m, 1200m, A$164,490, to 2017-18, MVRC Summer Membership H., 2d VRC Wallace H., MRC Ladbrokes H., No Fuss Events Hire H., Heritage Finance H.
Niconoise (c by Redoute's Choice) 4 wins from 1100m to 1800m, A$155,985, VRC Swisse Wellness Trophy H., Elms H., SAJC Spring Gully Sun Dried Tomato H., Davo's Buck Show H. Sire. Nicamorae (f by More Than Ready (USA)) 2 wins at 1000m, A$97,190, VRC Long Tan H., 2d VRC Beachside H., MVRC Caravan Industry Association H., 3d Bendigo JC Big Dance by Oamaru Force H.
Nicodora (f by Stratum) Winner at 1250m, SAJC Melbourne Cup at Morphettville P.
Herberina (f by Street Cry (Ire)) Placed at 3 in Aust. Nicola Lass (f Scenic) 7 wins. See above. Adriatic Ocean. 8 wins to 1400m, A$116,455, AJC Chiva-Som H., 3d STC Designer Streetwear Sellout H.
ZIP ZIP ARAY (g Bellotto) 5 wins to 1200m, A$333,340, SAJC Goodwood H., Gr.1, Distinctive Homes H., Volunteers Day H., PMP Print H., 2d SAJC Irish Day Flying H., Silks Brasserie Flying H., 3d SAJC Yallambee Classic, Gr.2, Spring S., Gr.3, Distinctive Homes Flying H., 4th MVRC Manikato S., Gr.1, SAJC Spring S., Gr.3, KPMG S., L.
ZIPANESE (f Bellotto) 4 wins to 1200m, A$246,740, SAJC Proud Miss S., L, MRC Five Mile Press H., SAJC Holly & Horseshoes H., 2d SAJC Robert Sangster S., Gr.1, Matrice S., L, Oakbank S., L, MRC Umrum H., SAJC Adelaide Airport Limited H., Urban Pacific P., 3d Oakbank S., L, MRC The Age P., 4th AJC Sapphire S., Gr.2, MRC How Now S., Gr.3, BTC Glenlogan Park S., L, SAJC Manihi Classic, L, WH Wylie H., L. Producer. Cappadocia (f Northern Meteor) 2 wins at 1100m, 1200m, 2d SAJC HC Nitschke S., L.
Song of Dubai. Winner at 2, BTC Bianca Palmieri 2YO H.
WILD RAMPAGE (c Bletchingly) 4 wins to 1400m, A$78,710, VRC WJT Clarke S., L, VATC Show Day S.H., L, SAJC Scamanda H., 2d VRC Linlithgow S., Gr.2, VATC Chirnside S., Gr.2, 3d SAJC Spring S., Gr.2, VATC Herald Sprint H., L. Sire. Dubai Centre (c Bletchingly) 2 wins at 1200m, 1250m, 2d VRC Flemington S., L, 3d VATC Yarra Yarra G C H., Flying Doctor Service H.
DREAMS APLENTY (g Dream Ahead) 7 wins-1 at 2-from 1000m to 1650m, A$425,025, to 2017-18, BRC Gunsynd Classic, Gr.3, Gold Coast Cup, L, Ipswich TC City of Ipswich H., BRC Racezone National Apprentice Series P., 2d BRC Sires' Produce S., Gr.2, 3d BRC Lough Neagh S., L.
Race Record: 17 Starts 6-1-3 £16,110, A$997,450. BIANCONI Champion 3YO Sprinter in Ireland in 1998. 3 wins at 5¾f, 6f, Ascot Diadem S., Gr.2, Leopardstown Cantrell & Crowley Co-Operative H., 2d Leopardstown Phoenix Sprint S., Gr.3, 4th Irish Two Thousand Guineas, Gr.1, Curragh Greenlands S., Gr.3. He entered stud in USA in 2000. He entered stud in Aust. in 2000. Sire of 978 progeny to race, 607 winners (62.0%), earnings of over $41 million, 19 stakes winners, 32 stakes placegetters, inc.
NICCONI (05c, Scenic, Bletchingly). 6 wins-1 at 2-to 1400m, £16,110, A$997,450, AJC Galaxy H., Gr.1, VRC Lightning S., Gr.1, MVRC Ian McEwen S., Gr.3, MRC Wellington Racing Club S., L, Fairfax 2YO H., MVRC Valleyevents.net.au H., 2d MRC D'Urban S., Gr.2, 3d MVRC Manikato S., Gr.1, VRC Danehill S., Gr.3, STC Darby Munro H., L, 4th AJC TJ Smith S., Gr.1, VRC Australian Guineas, Gr.1, Royal Ascot King's Stand S., Gr.1. ABOVE DECK (01g, At Talaq, Father Christmas). 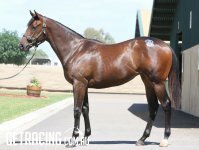 10 wins-1 at 2-from 1000m to 2200m, A$934,450, BTC Doomben Cup, Gr.1, GCTC AD Hollindale S., Gr.2, AJC Japan Racing Association P., L, STC Homeshop.com.au Welter H., MRC Moduline Classic H., Albury Gold Cup, STC JW Mailing Services H., Michael Hansel Signs H., MVRC Beacon Lighting H., 2d STC NE Manion Cup, L, AJC Ray Bramman H., Reading 2YO H., STC Guildford Leagues Club H., MVRC Jayco 30th Anniversary Trophy H.
MR MARTINI (01c, Marauding, Whiskey Road). 3 wins at 1600m, 2000m, A$300,750, MVRC Bill Stutt S., Gr.2, STC Kingston Town S., Gr.3, MVRC Octagonal Lounge Grand Opening H., 2d MVRC AAMI Vase, Gr.2, VRC Debonair S., Gr.3, STC Premier's Cup, L, MRC Caranna H., 3d STC Fairfield RSL Charity Race H.
REDASPEN (02f, Strike the Gold, Quack). 9 wins-1 at 2-from 6f to 1½m, US$459,473, Calder La Prevoyante H., Gr.2, Philadelphia Park Mrs Penny S., L, Foxy JG S., L, Meadowlands Navajo Princess S., L, Monmouth Politely S., L, 2d Monmouth Eatontown S., Gr.3, Delaware Park Polly's Jet S., L, Monmouth Without Feathers S., L, 3d Calder My Charmer H., Gr.3, Laurel Dahlia S., L, Philadelphia Park Mrs Penny S., L, Penn National Wonders Delight S., L, 4th Laurel April Run S., L.
SCHILLING (04g, Prized, Macarthur Park). 3 wins-1 at 2-at 1400m, 1600m, A$386,520, MRC Sandown Guineas, Gr.2, 2d VRC Carbine Club S., Gr.3, CS Hayes S., Gr.3, 3d MVRC Alister Clark S., Gr.2. FILLYDELPHIA (07f, Encosta de Lago, Varick). 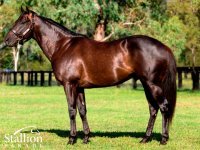 11 wins-3 at 2-from 1200m to 2000m, A$593,800, BRC Rough Habit P., Gr.3, Brisbane H., L, Sunshine Coast Cup, L, BRC Australian Financial Advisers Quality H., Menofleague.com.au H., Perfect Italiano H., Blackwater Quarries H., Desiree Gill Memorial H., Panasales Group Brisbane Bloodstock 2YO H., Qld Tatt's RC Hamilton Hotel 2YO H., BRC Coca-Cola Amatil 2YO H., 2d BRC Bernborough H., L-twice, Qld Tatt's RC Recognition S., L, Sunshine Coast Cup, L, BRC SITA Australia Quality H., 3d Qld Tatt's RC Recognition S., L, BRC Hinkler H., L, Brc.com.au 2YO P., 4th BRC Grand Prix S., Gr.3, Qld Tatt's RC Tattersall's Members' Cup, L, BRC Hinkler H., L, Just Now H., L.
BIANMICK (06g, Citidancer, Tap on Wood). 9 wins from 1200m to 2400m, A$298,179, MVRC JRA Cup, Gr.3, MRC Variety Victoria P., Ahern's at Highways After the Last H., Surdex Sheet & Coil H., D'Urban H., 3d Benalla Toyota Gold Cup, MVRC Sistema Plastics H., Elantra H., MRC Ahern's at Highways After the Last H.
STREETFIGHTER (03g, Voodoo Rhythm, Star Shower). 8 wins from 1400m to 2400m, A$342,715, Newcastle Gold Cup, Gr.3, AJC Sharp H., QBE Workers Compensation H., VRC Noble Comment H., SAJC Provideo H., Scott Group of Companies H., 2d MVRC Dominant Hiskens Cup, Marsh Pty Ltd H., MRC Summer Fair H., 3d SAJC Queen's Cup, Gr.3, 4th AJC Colin Stephen H., Gr.3, Cranbourne Cup, L.
LEIGH VALLEY (01f, Bigstone, Conquistarose). 5 wins from 1100m to 1600m, NZ$104,875, WRC Cuddle S.H., Gr.3, Counties RC Trusts Charitable Foundation H., 2d CJC Coupland's Bakeries Mile, Gr.3, Waikato RC Irish Rover H., 4th WRC Captain Cook S., Gr.1. RHYTHM IN PARIS (05f, Arctic Rhythm, Grosvenor). 4 wins to 1400m, A$137,730, MRC WW Cockram S., Gr.3, VRC Durbridge H., 2d MRC Glasshouse Cafe H., 3d MRC Gladsome H.
TAKEN AT THE FLOOD (01g, Slew o' Gold, Northern Dancer). 9 wins from 1900m to 3150m, A$350,777, STC WJ McKell Cup, L, Christmas Cup, L, Wenty Leagues Club Welter H., Guildford Leagues Club H., Masterton Homes H., Congratulations Miss Finland H., 2d AJC Australia Day Cup, L, STC Manildra Group Stayers Cup, Ready Workforce H., Waco & Tubrule P/L H., 3d AJC Summer Cup, Gr.3, SAJC Scott Group of Companies H., Hawkesbury RC Blakes Marine H., 4th STC Neville Sellwood S., L.
CLASSICONI (01g, Exit Five B., No Quarter). 5 wins-2 at 2-to 1400m, A$387,850, VRC Poseidon S., L, MRC Heath H., L, Members' Race Day 2YO H., Nearest H., 2d MRC HDF McNeil S., Gr.3, SAJC Jansz S., Gr.3, MRC Le Pine Funeral Services Cup H., 3d VRC Bobbie Lewis H., Gr.3, MRC Guineas Prelude, Gr.3, VRC Kensington S., L, 4th MVRC CS Hayes S., Gr.3, MRC Schweppervescence Cup, Gr.3. PRINCESS KATIE (07f, Snippets, Native Aspen). 7 wins to 1200m, NZ$105,978, CJC Pegasus S., L, Taranaki RC Schweppervescence Sprint H., 2d Hawkes Bay Trinity Hill Open Sprint H., 4th WRC Lightning H., L.
AWESOME LADY (01f, Conquistador Cielo, Baldski). 7 wins-1 at 2-from 5f to 8½f, US$310,658, Santa Anita Monrovia H., L, Bay Meadows Monterey H., L, 2d Santa Anita Las Flores H., Gr.3, Fairplex Bangles & Beads S., L, 4th Bay Meadows Monterey H., L, Palo Alto H., L.
VALPARAISO (01f, Francis Bacon, Better Honey). 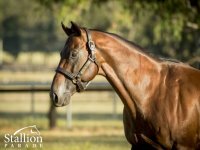 4 wins from 1200m to 1600m, A$156,675, WATC Matchmaker Classic, L, Kentiara Classic, Kalatiara Classic-twice, 2d WATC Brooklyn Bridge H., Acropolis H., 3d WATC November Rain H.
WARRIOR OF FIRE (11g, Tuscanos, At Talaq). 3 wins from 2000m to 2200m, A$115,794, TRC Hobart Guineas, L, 3d MRC Le Pine Funerals H., SAJC C Hancock Cancer Foundation H.
BIANCONI BABY (01f, Woodman, Halo). 3 wins-1 at 2-from 6f to 9f, Emerald Downs Washington Oaks, L.
ANDALLTHATJAZZ (02f, Yeats, Duke Ellington). Winner at 1600m, SAJC Morphettville Guineas, L, 2d SAJC Queen Adelaide S., L, 3d SAJC Val Royal 2YO H., Undoubtedly H., 4th SAJC Hill-Smith S., L.
REFUSE TO BEND (01g, Regal Intention, Grey Dawn). 3 wins from 7f to 8½f, Woodbine Izvestia S., L, 4th Woodbine Afleet S., L.
Pacino (03g, Nassipour, Royal Palace). 8 wins from 1400m to 2000m, A$481,485, VRC National Jockey Celebration Day Victoria P.H., Dulcify H., MRC Legacy Badge Appeal H., VRC Iko H., 2d STC Hill S., Gr.2, Tulloch S., Gr.2, MRC Coongy H., Gr.3, MVRC JRA Cup, L, VRC AFL Life Members Association H., AJC Mater Hospital H., MRC Malakoff H., SAJC Capital Transport H., Geelong RC Briseis Gold Cup, Bairnsdale Cup, 3d MRC Coongy H., Gr.3-twice, VRC Divinyls H., Western Health Cup H., MRC Griffiths Coffee Cup H., Pfdfoods.com.au P.H., MVRC AJS Corporation H., VRC Bitalli H., 4th MRC Heatherlie H., L.
Alcohol (08g, General Nediym, Common Grounds). 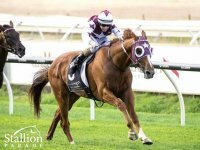 6 wins from 1200m to 2000m, A$351,670, MVRC Styleread.com.au Inglis Bonus 3YO H., VRC Spotless H., MVRC Travis Harrison Cup, SAJC John Pope H., Tattsbet H., Toll Express H., 2d SAJC Chairman's S., Gr.3, MVRC Vital Healthcare Trust H., SAJC Peter Elberg Funerals H., MP (Sam) Barnett H., 3d SAJC Australia Day Races H., Hamilton Holden H., VRC Antler Luggage H., MVRC Sportingbet William Hill H., SAJC Mac Just Over? Don't Drive H., Absolutely Fabulous Movie H.
Biancon Rose (07f, Mookta, El Seetu). 6 wins to 1400m, A$205,808, MRC Selangor Turf Club H., Australian Defence Force H., Natural Stone & Slate H., 2d VRC PFD Food Services S., Gr.3, MRC Hocking Stuart H., 3d MRC Michael Andrew Farewell H., Schweppes H.
Gail (06f, Encosta de Lago, Century). 6 wins from 1400m to 1700m, A$288,905, VRC Tributes H., Flemington Green Fields Raceday H., LV Lachal H., MVRC Advanced Mailing Solutions H., 2d Bendigo JC Catanach's Jewellers Gold Bracelet, VRC Elms H., Spotless H., MVRC Pulse Pharmacy H., MRC Ahern's at Highways H., 3d VRC Matron S., Gr.3, PHHWV Second Chance P., Henry Bolte H.
But I'm Serious (01f, Al Hareb, Keen). 6 wins-2 at 2-from 1200m to 1600m, A$213,100, AJC Marriott Hotels H., Smith & Nephew Oxinium H., 2d AJC Super Impose H., STC Bradley Photographers H., 3d AJC Light Fingers S., Gr.2, Scone Cup, L, AJC Oxygen Home Loans H., Port Macquarie Cup, AJC Claymore H., STC Nivea Visage H., Schick Quattro Energy H., 4th AJC Bill Ritchie H., Gr.3. Cavallo Nero (08g, Success Express, Canny Lad). 4 wins to 1400m, A$146,280, MRC Schweppes H., 2d VRC Australian Lamb Company H., Geelong RC Dual Choice P., 3d VRC Aurie's Star H., Gr.3, Tauto H., MRC Cove Hotel H., MVRC Sportingbet H., MRC Sportingbet's Owner's Privilege H., Settlement at Cranbourne H.
Benko (02f, Esperanto, Secretariat). 2 wins at 1200m, A$172,750, MRC Kapalaran H., 2d MVRC Tesio S., Gr.3, Alexandra S., L, VRC Indian Summer H., MRC Arborea H., Chicquita H., 3d MRC Snitzel H.
Second Dozen (07g, Rory's Jester, Voodoo Rhythm). 12 wins from 1100m to 1650m, A$183,465, TTC Balmoral on York H., Newstead Hotel H., Grenville Stud H., Wendy Richards H., Life to the Full H., TRC Pink Ribbon Day H., QBE H., TTC Tasmanian Owners P., 2d Tasmanian Guineas, L, TRC D&W Electrical H., Sorell Cup, TTC Airport Undercover Parking H., Jansz Corporate Marquee H., AWM Data Supplies H., TA Bricknell H., TRC Cadbury 2YO P., 3d TTC Jackson Motor Company Cup, Field Family H., Weeding Hire H., Newstead Hotel H., Become a Member H., Bendigo Bank H.
Lord Wimble (07g, Carry a Smile, Atilla). 10 wins from 1200m to 1800m, A$311,075, MVRC Triforce Country Cup, Tony Beddison Cup, SAJC Medallion Homes H., 2d MRC Kerrin & Rochelle Shortis H., Art Series Hotel Group H., Sportingbet H., Ballarat TC Gold Nugget H., 3d Seymour Cup, L, VRC Lanec Services H., Donald Cup, 4th MRC Sandown S., Gr.3. Light Tan (05g, Voodoo Rhythm, Gay Gambler). 10 wins from 1200m to 1700m, A$168,407, SAJC Dominant H., Medallion Homes H., 2d SAJC Coombsey's 60th Birthday H., Mick Dermody Memorial H., 3d Balaklava Cup, L.
Princess Bianconi (04f, Conquistador Cielo, Damascus). 9 wins at 5½f, 6f, US$244,109, 3d Prairie Meadows Iowa State Fair S., L.
His sire sons include Nicconi (17), Mr Martini, Viva Las Elvis, Jidoja, Dino Dancer, etc. 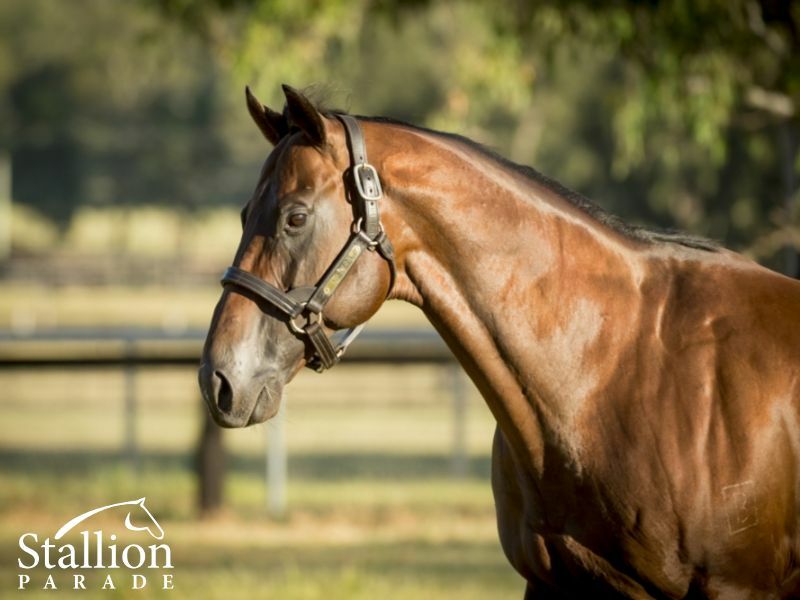 Australia’s most popular stallion in 2016 with over 190 mares currently in foal. 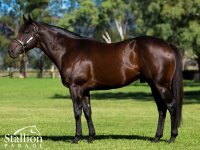 Sire of this season’s Group winning sprinters SIRCCONI, FAATINAH & HEAR THE CHANT. 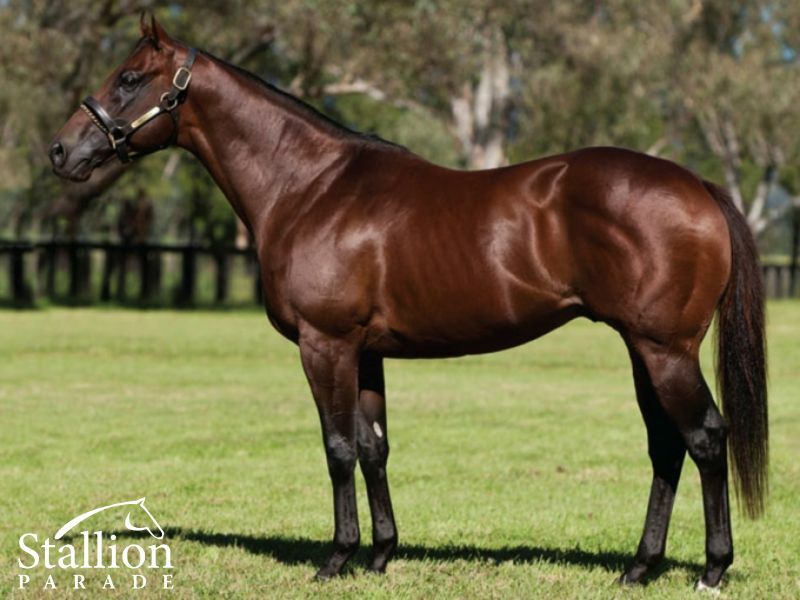 From just 4 crops, Nicconi is the youngest sire in the Australian Top 10 Sires Table by winners. Dual Gr 1 winner of the Gr 1 Lightning Stakes (Flemington) & Gr 1 Galaxy (Randwick). Co-Champion Australian 3yo Sprinter and Gr 1 winning 3yo against open company. Brilliantly fast, Group performing son of World Champion 2yo sire Exceed & Excel. Emerged in season 2016/17 as one of Australia’s most exciting young sires. The Millions Maker. Dual Group 1 winner from Coast to Coast. Dominant Group One winning 3yo by FASTNET ROCK from an outstanding European family. Sire of 2018 $2,000,000 MAGIC MILLIONS 2YO CLASSIC WINNER SUNLIGHT!